Kids can practise their handwriting, tied into a space topic, with this fun collection of handwriting worksheets. 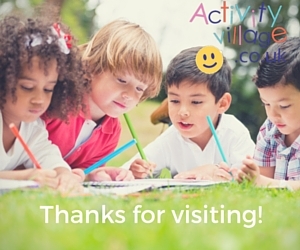 We start with finger tracing, move up to word tracing, and then finally onto our mixed-font handwriting worksheets, so there is something for a range of ages and abilities here. Our finger tracing worksheets are designed to start the kids off with their letter formations. Here they can trace over the letters of the word alien, and then colouring the picture. By the time the children finish this alien handwriting worksheet they will have had plenty of practice at writing the word – enough to write it on their own on the last line, perhaps. Colour in our cheerful astronaut and then trace over the letters underneath – first with a finger, and then with a pencil. For repeat use, laminate the worksheet and use a dry wipe pen. Learn to spell and write the word astronaut with this printable handwriting worksheet. Tracing over the letters in the word "astronaut" is a bit of a challenge – but there is a fun colouring picture to encourage the children on! Learn to spell and write our most important planet with this handwriting worksheet. It might be useful for Earth Day, perhaps. Here is our first handwriting worksheet for the planet Jupiter. Children can learn to form the letters by tracing over them for the forefinger, before trying again the pencil. Kids can have a go at writing out the word for Jupiter. We've included a picture of the planet to colour in. The planet Jupiter is the subject of this word tracing page. 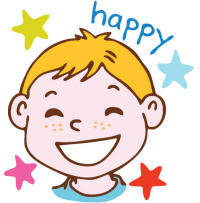 Kids can learn to spell the word by tracing the letters and then colour in the picture. How do you write the word Mars? By tracing over the letters on this finger tracing worksheet, children will begin to learn to write each letter and put them together to form the word. Trace the letters of the planet Mars and colour in the picture! Finger trace the letters of the planet Mercury and colour in the picture! Here is another of our space handwriting worksheets – this one featuring the planet Mercury. 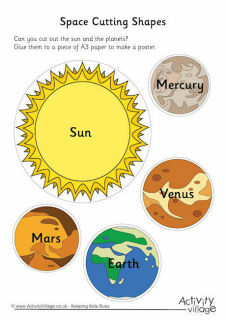 Here is another word tracing worksheet featuring a planet – this time Mercury. Our finger tracing worksheet for the moon is a great way for the kids to practice their letter formations and the spelling of the word. This useful handwriting worksheet helps children learn how to write and spell the word moon. Here is a first handwriting worksheet for the planet Neptune, with letters to finger trace and a picture to colour in. The planet Neptune is the subject of this handwriting worksheet. By the time the kids have finished it, they should be more confident about writing the word. This word tracing worksheet features the planet Neptune. Trace over the letters and then colour in the picture. Here is a starter handwriting worksheet for the word "planet", complete with colouring page of a generic planet. Kids can have a go at writing the word planet, starting by tracing over the letters on the first line and then working their way down to the bottom line, where they can write the word unaided. How do you spell the word planet? Our word tracing worksheet will help children learn. This satellite finger tracing worksheet is a little challenging, but great practice for early learners. Satellite is quite a tricky word to spell and write, so this handwriting worksheet may come in useful. The word "satellite" isn't the easiest word to write or spell, but children will be more confident after having a go at this word tracing worksheet. Part of a set of planet handwriting worksheets, here is the one for Saturn. Here is another planet word tracing worksheet – this one featuring Saturn. This shuttle finger tracing worksheet fits in nicely to a transport or a space topic. Learn to spell and write the word shuttle with the help of this useful handwriting worksheet. Kids can have a go at tracing the word "shuttle" and then colouring in the fun picture. Great for space enthusiasts! Children can begin to learn to recognise and write the word Star using this finger tracing worksheet. Here is a simple handwriting worksheet featuring the word "star". You could use it as part of a space or planets topic, or when learning about shapes. This finger tracing worksheet helps children recognise the word for the planet Uranus, and starts them off on learning how to write it. Learn to spell and write the word for the planet Uranus with help of this handwriting worksheet. Here is a picture of the planet Uranus to colour in, with its name underneath it for the children to trace. This planet Venus finger tracing worksheet is one of a set of handwriting worksheets based on a space topic. Here is our handwriting worksheet for the planet Venus – it's one of a set which includes all the major planets. Trace over the letters of the planet Venus and colour in the picture. Our word tracing worksheet is a fun way to learn the planets.